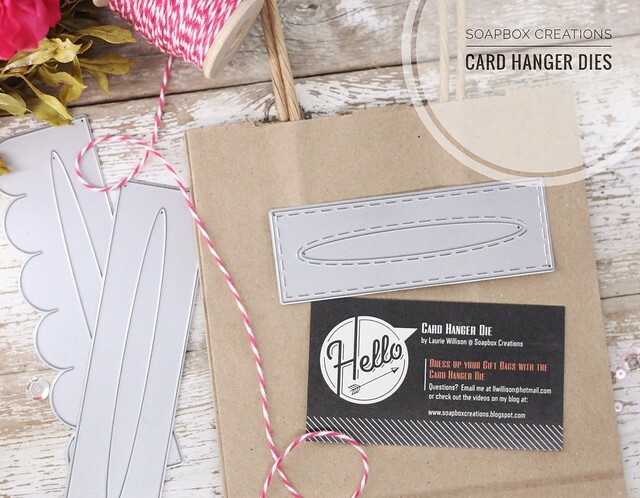 SOAPBOX CREATIONS: Card Hanger Dies Back in Stock! ALL CARD HANGER DIES ARE BACK IN STOCK! You can purchase your own by clicking on the Paypal button on the right side bar here on my blog. I currently have all 4 dies in stock. Genius idea, Laurie! 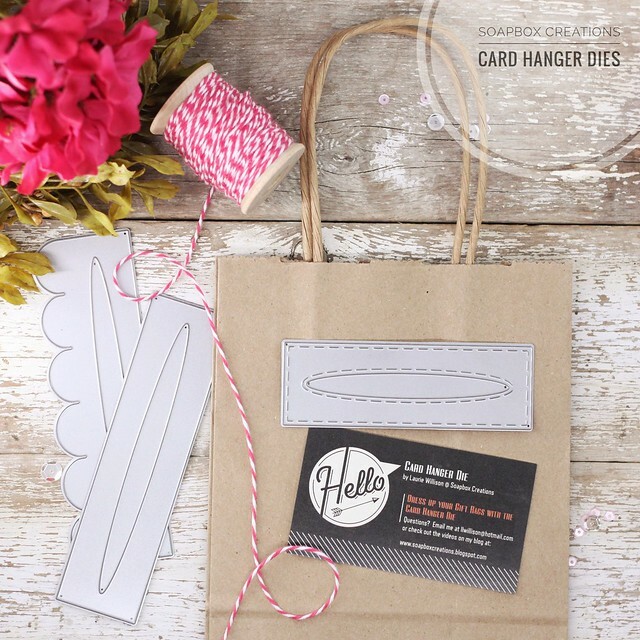 I love that your card becomes the focal point for the bag...so pretty!